LIVS Project (Lingua Italiana e Vocabolario storico), in collaboration with CNR-OVI and financed by Regione Toscana. • La Fabbrica dell’Italiano. Archivio Storico. • Publications of L'Archivio dell'Accademia della Crusca in the series Quaderni di Archimeetings (edited by ANAI-Sezione Toscana). 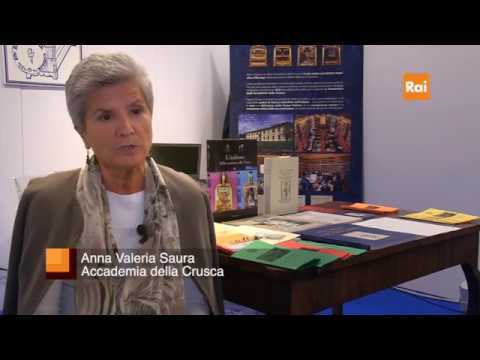 • Documentary on Archive of the Accademia della Crusca, in course of publication, some extracts have been used for the tv episode on the Archive within the project "I giacimenti culturali dell'area fiorentina: gli Istituti SDIAF" (2007). • Publication of documents related with Galileo (his nomination as Academician, his commitment in the activities of the Crusca, the drawing on his Pala, his XVII century portrait), his students (in particular the linguistic counts of the works of Mario Guiducci) and his lexicographic fortune in the catalogue of the exhibition "Galileo e l’universo dei suoi libri" (Firenze, Biblioteca Nazionale Centrale, 2008 December, 5th – February, 28th) by E. Benucci, P. Scapecchi, R. Setti, I. Truci, Firenze, Vallecchi, 2008. • Publication of the book Giuseppe Giusti, Proverbi, edited by Elisabetta Benucci. Transcription of Proverbi edited by Silvia Dardi, Firenze, Accademia della Crusca - Le Lettere, 2011. With a DVD edited by Elisabetta Benucci and Marco Biffi. The book presents the inedited manuscript of Proverbi preserved in the Accademia. The DVD collects the proper critical edition, in which each proverb is compared to the previous autographic draft, in order to show the corrections and the additions wanted by Giusti himself, and to the second largely expanded publication of 1871, thus allowing a perfectly comprehension of Capponi's operation. Together with the critical edition, the DVD offers a database that allows to search the proverbs, in different ways: the two Giusti's handwritten draftings and the two Capponi's editions (1853 and 1871) for a total of about 18.500 proverbs.